When I use the SetNull tool, it does remove the black area, however it then turns it into a grayscale orthoimage, which is not what I want. I know that there is a way around this by using the Clip (Data Management) tool to clip the raster to itself and in there you can set the NoData value to be the value of the black cells (0). However, I am creating a workshop for students and I would like to use a less counterintuitive method. 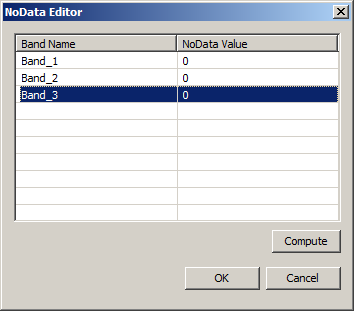 There is of course the option of running the NoData tool on each band individually and then combining the three bands together, however I need to have a condition where band1, band2, and band3 all equal 0 to set that as NoData. Being able to do this in ModelBuilder would be ideal, but scripting it using ArcPy would also be good. I am using ArcGIS 10.2 Desktop with Advanced License. 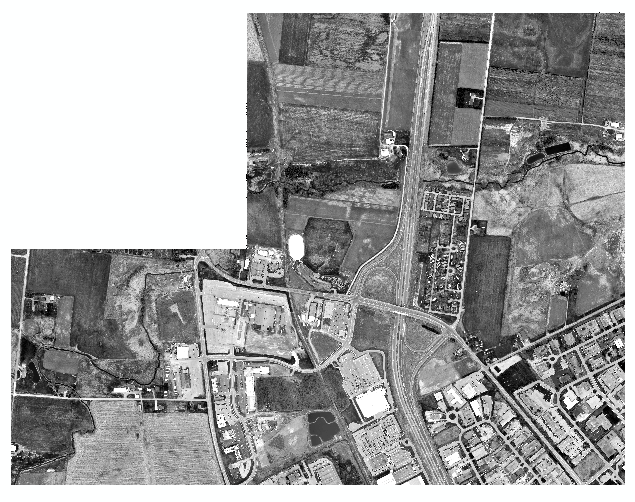 What you want to do is Set Raster Properties in a script or change it manually in ArcCatalog. 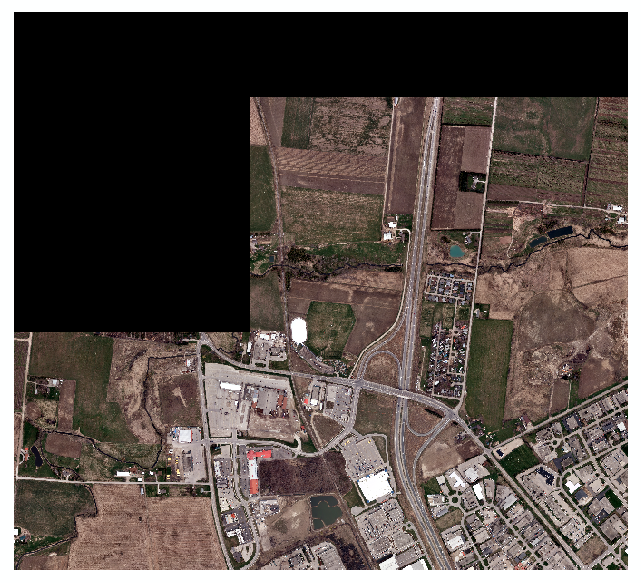 This will not create a new raster or even take very long. Enter the values then hit OK to dismiss the NoData editor and OK to enforce the change. Now the raster will display nothing in ArcMap where the cell value is 0,0,0. If you go to the raster properties, and if the symbology is set as RGB composite (which it seems to be), you can check the Display Background Values (RGB) box and set whatever you like as a hollow background. So just set 0 0 0 as the background value and you should be in business. I think the easiest way to achieve this would be to create a null condition raster first, then use that raster to assign the NoData values to each band seperately. Try running the Con function to create the null condition raster. 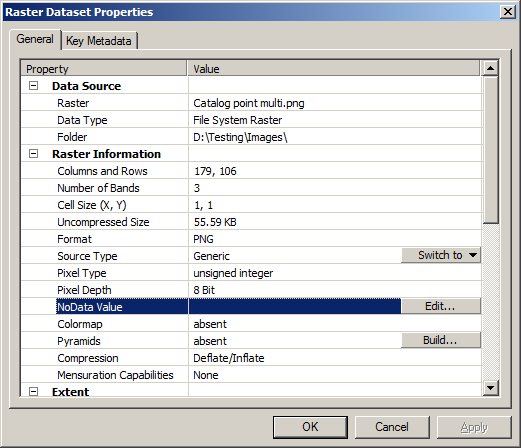 Then use the null condition raster to assign NoData values to each band with the set Null function. You should be able to do this with model builder or python. Not the answer you're looking for? Browse other questions tagged arcgis-desktop raster arcgis-10.2 nodata multi-band or ask your own question.